A Supreme Court bench of Justices AK Sikri and Ashok Bhushan has issued notice to the Centre on a plea which challenged the Madras High Court order dismissing the plea against the nomination of three BJP MLAs to the Puducherry Legislative Assembly made by the Centre without consultation with Chief Minister V Narayanasamy. However, it refused to stay the Narendra Modi government’s July 4, 2017 gazette notification that notified the nomination of Bharatiya Janata Party Puducherry unit chief V Saminathan, its treasurer KG Shankar and educationist S Selva Ganapathy to the Assembly. While posting the matter to August 28, the bench said it would hear the arguments on whether to refer the issue to a constitution bench. 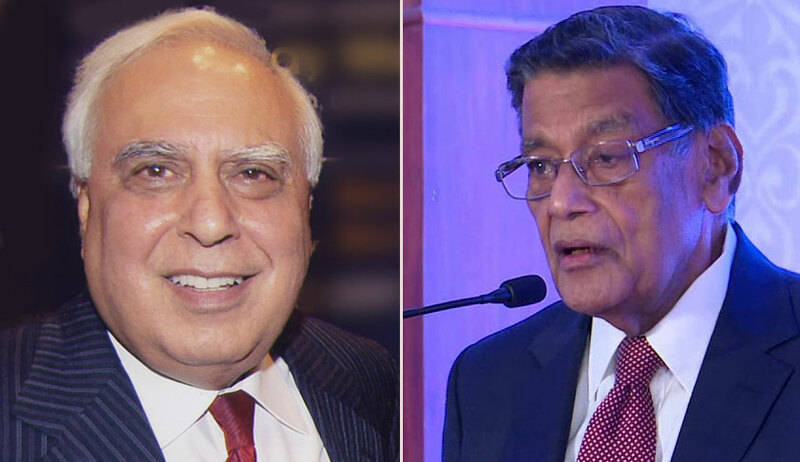 Appearing for petitioner K Lakshminarayanan, Senior Advocate Kapil Sibal argued that in a federal structure, under Article 71 of the Constitution, the Centre is empowered to nominate MLAs without even consulting the elected government. “This is a serious constitutional issue and the constitution bench has to decide on it. It is anethema to the constitutional basic structure. They cannot tweak the Constitution in this fashion,” Sibal argued. Appearing for the Centre, Attorney General for India KK Venugopal submitted that Puducherry is Union Territory and the Central Government has the authority to govern its own land. On March 22, a Madras High Court bench headed by Chief Justice Indira Banerjee had held that the Centre’s nominations had been made validly and therefore Speaker V Vaithilingam was not right in refusing to accept those nominations. Earlier, writ petition was filed with a plea to declare as unconstitutional and consequently quash the gazette notification. One of the litigants had sought for an injunction restraining the Centre from in any manner nominating or filling up the three seats in the Assembly except with persons who had been selected by the council of ministers. The impugned judgment passed by the high court is contrary to law and the material on record and is, therefore, unsustainable and liable to be set aside. The high court failed to appreciate that unilateral nomination member to the Puducherry Legislative Assembly by the Government of India, is contrary to the scheme of Articles 239, 239A and 240 of the Constitution, and express provisions of the Government of Union Territories Act, 1963 (“UT Act”). Article 239 of the Constitution expressly provides that the President may administer a Union Territory save as otherwise provided by law made by Parliament. Article 239A provides for constitution of legislature and council of ministers by law. Article 240, which empowers the President to promulgate regulations for peace, progress and good governance of Union Territories is only applicable until the legislature constituted by law meets for the first time. The high court has failed to appreciate that a holistic reading of the aforesaid provisions show that once a legislative assembly and council of ministers of a Union Territory are formed, the role of the President as the Head of the Union is restricted in matters pertaining to the Union Territory of Puducherry. The high court has failed to appreciate that by enactment of the UT Act, the Parliament has paved the way for a democratically-elected legislature and government to govern the Union Territory of Puducherry. Accordingly, exercise of powers by the President has to be construed in light of the existence of such democratically-elected legislature and government and subject to the provisions of the UT Act. The scheme of the UT Act as well as the Rules of Business of the Government of Puducherry, 1963 (“Puducherry Rules of Business”) promulgated by the President for governance of Puducherry make it sufficiently clear that except for matters which are referred for consideration of the President as the head of the Government of India, the affairs of the Union Territory of Puducherry are to be managed by the administrator acting on the aid and advise of the council of ministers, except for matters where the administrator is required to act in his/ her own discretion. For that Section 3(3) of the UT Act empowers the Centre to nominate members to the Legislative Assembly. The term “Central Government” is not defined under the Government of Union Territories Act, 1963. Section 3(8) of the General Clauses Act, 1897, defines “Central Government” to mean the President, and include, in relation to the administration of a Union Territory, the administrator thereof, acting within the scope of authority given to him under Article 239 of the Constitution. The impugned judgment omits to take into consideration the purport of inclusion of “administrator” within the purview of the expression “Central Government” under the General Clauses Act. For that the high court has failed to appreciate that in a matter integral to the affairs of the Union Territory of Puducherry, the expression “Central Government” ought to be interpreted to mean the “administrator” as provided under the General Clauses Act. A contextual interpretation of the expression “Central Government” to include “administrator” in relation to affairs of a Union Territory has been upheld in various judgments of this court. [State of Vindya Pradesh vs. Shri MoulaBux & Others, AIR 1962 SC 145; Goa Sampling Employees Association vs. General Superintendence Co. of India & Others, 1985 1 SCC 206].